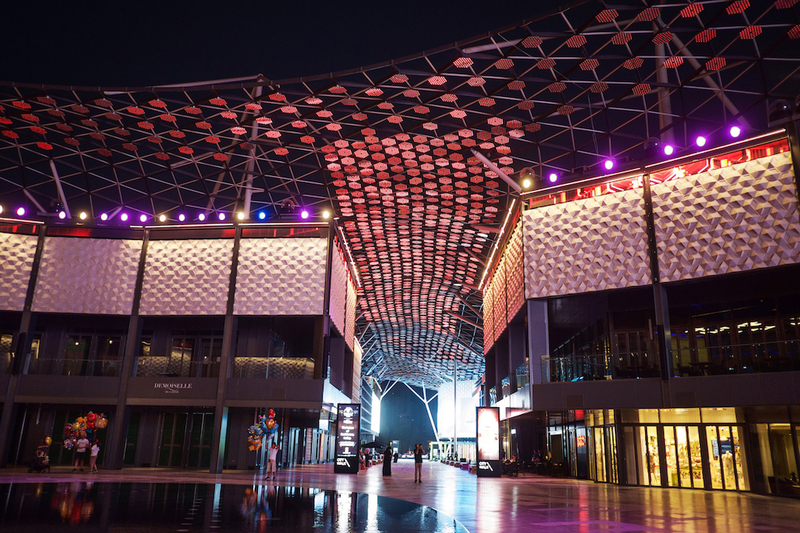 This new Arab emirate mall has 34 projectors Titan range of this manufacturer, which form the backbone of the visual system, while combined with digital screens to deliver over one hundred million pixels. 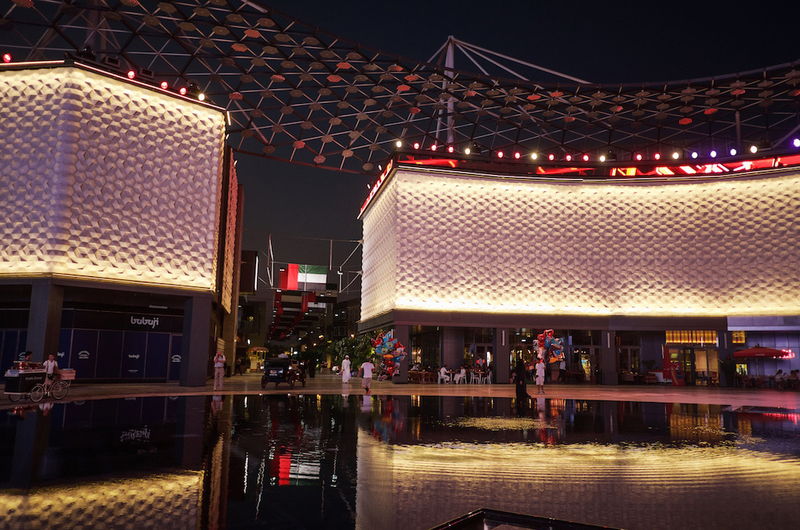 With 85,700 m2, the City Walk mall in Dubai offers a high quality environment designed like a giant pedestrian walkway with streets for shopping, dining and entertainment areas in which the combination and integration of visual elements foster a unique experience for all those who visit it. The developer and owner of the center, Dubai Meraas HoldingHe hired the Canadian study float4Specializing in creating digital experiences based in Montreal, for content creation, programming strategy and design of the technological infrastructure of public spaces of the City Walk through its subsidiary XYZ Cultural Technology. 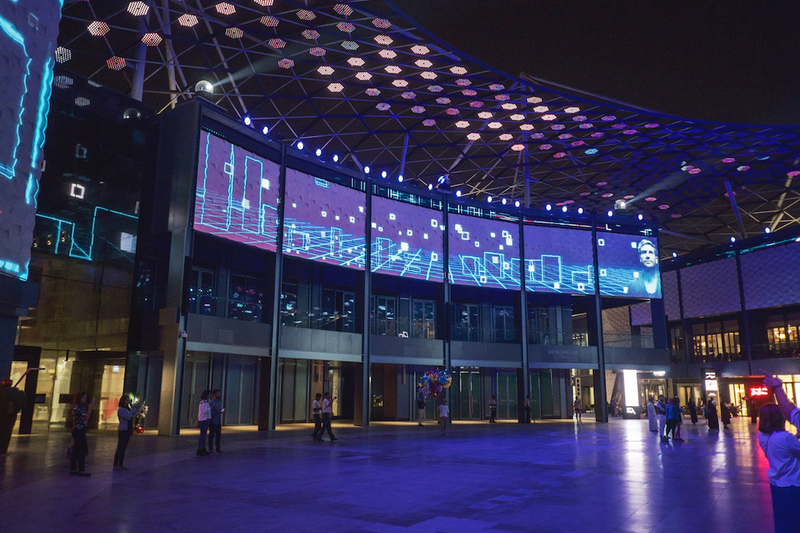 Currently, this project has been set as the integrated architecture of a mall world's largest multimedia experience. Experts XYZ Cultural Technology designed, supplied and programmed a robust multimedia system that allows all elements of the installation operating continuously and perfectly synchronized manner and ensure a "holistic integration of all visual elements and their individual characteristics." The company is also responsible for its operation and maintenance during the first year of activity. 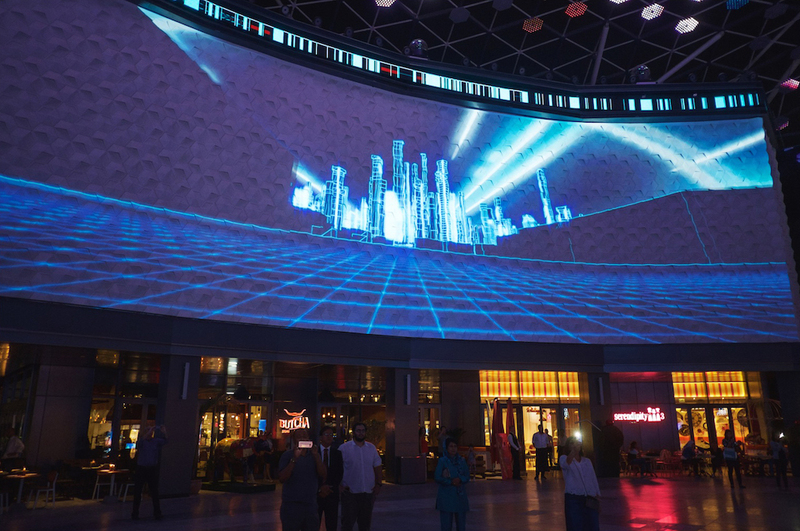 The multimedia project in the Dubai City Walk mall is based on the Titan projectors range Digital Projection, Previously and after passing all the tests and requirements were specified by the integrator RDK Dubai. "We reached a point where they had taken many decisions regarding each individual feature explains Alexandre Simionescu, cofounder of Float4. Our role in these projects is to be like a executive producer: ensure that technology and content work together and are properly designed. " 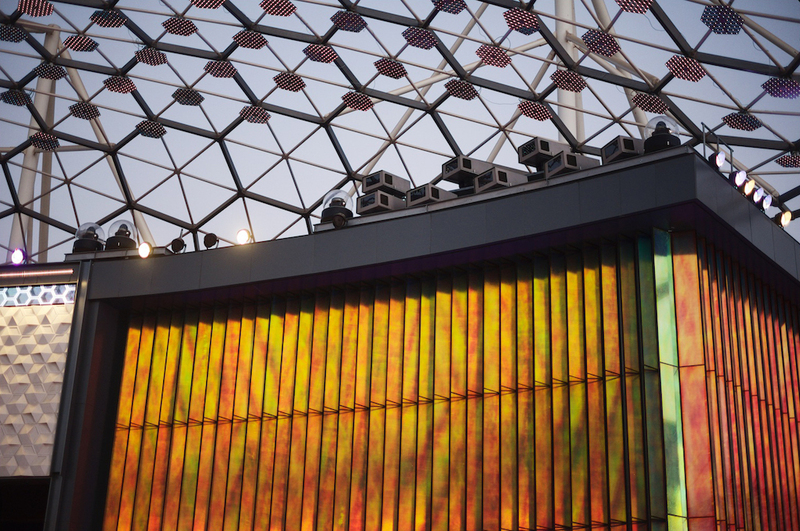 The control system and broadcast multimedia shows, developed and designed by XYC Cultural Technology facilitates transmission through 34 Digital Projection projectors; three hundred lamps; four screens Water-powered LED screens and thirty twenty different formats, on an equivalent to twelve football fields surface. Todos los elementos comunican de manera automatizada y continua en un medio exterior árido. En total, 33 servidores que transmiten más de 100 millones de píxeles; 7.000 metros de fibra óptica y 33.000 metros de cable de vídeo fueron necesarios para darle vida a la deslumbrante experiencia digital de las áreas o calles del City Walk. 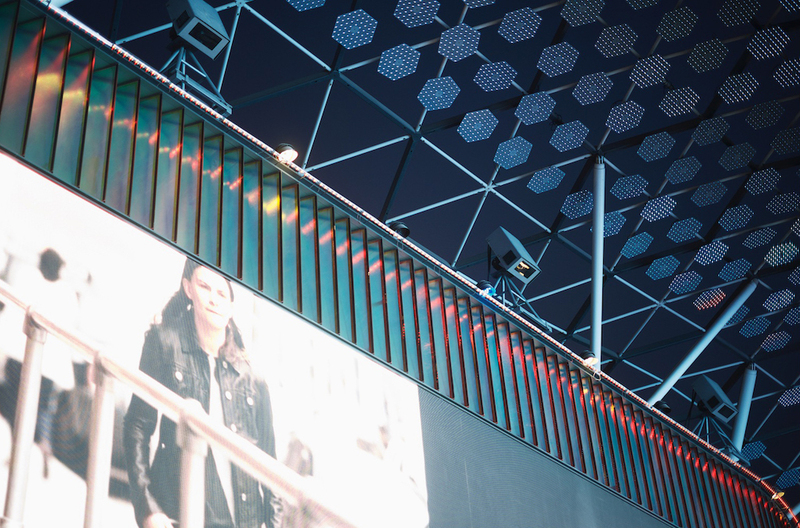 En concreto, en la zona Show Street, una pasarela flanqueada por espacios comerciales y restaurantes, que a su vez se abre a la Place de Lumière, como centro de entretenimiento, se han instalado doce proyectores digitales Titan 930, de 15.000 lúmenes y resolución WUXGA, alojados en cajas Tempest, que se despliegan en el suelo. La proyección se combina con elementos visuales Led a lo largo de la calle y tiras de Led, lo suficientemente grandes para mostrar imágenes en movimiento. “Los proyectores se montaron de manera discreta y la tecnología ColorMax garantizó que todos pudieran calibrarse fácilmente para asegurar una mezcla perfecta y sincronizada en múltiples canales. Además, el sistema de lámpara dual permite la redundancia asegurando que el espectáculo pueda funcionar sin interrupciones si es necesario cambiar una de ellas”, apunta Simionescu. Each night at regular intervals three different visual shows created by Float4, with projections on the walls of the central square and the LED screens located throughout the enclosure, for a total of eighteen projectors Titan 930 mounted around used are made this space, creating a large digital canvas with over 120 different elements. Large areas of diffusion and projection, all of different sizes and formats each own half contributed to the complexity of the project. The main challenge encountered by the specialists XYZ was to keep the link between the construction team and its various subcontractors, originating from ten different countries, in order to integrate and connect systems between them.